Four-way sight glasses type 595 - Borosilicate and quartz glass, mica, sealing, level gauges, armature - Continental Trade. 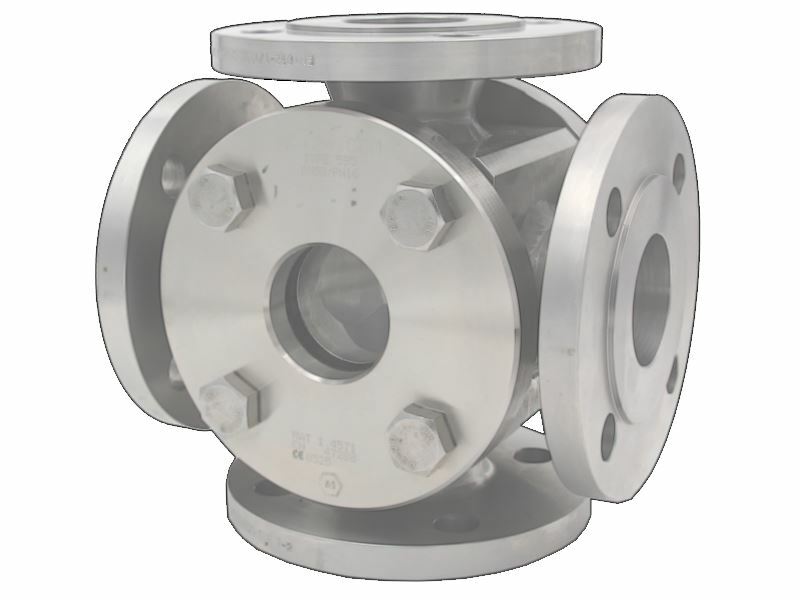 The ACI four-way flow sight glass Type 595 is fitted with four connection flanges and can be installed in your system as a crosspiece. 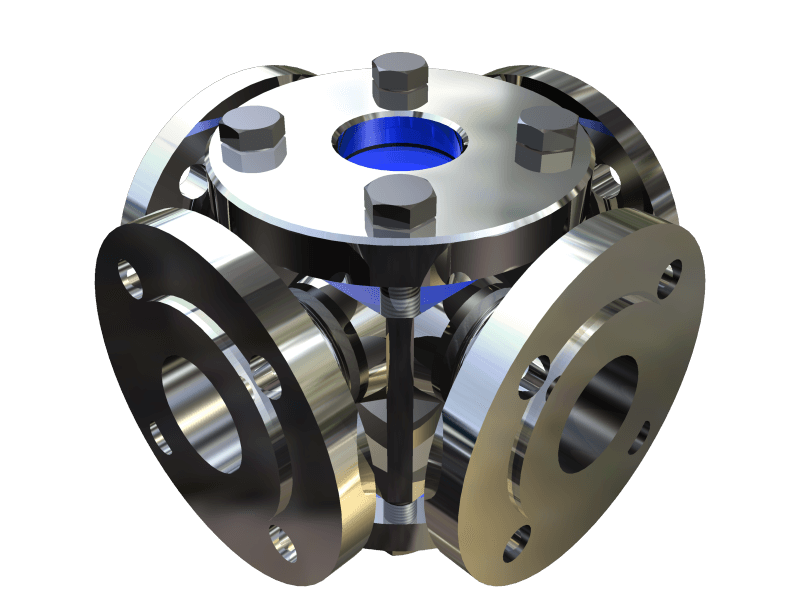 This structure makes Type 595 ideal for observing mixing processes or flow dividers. The viewports of Type 595 consist of the same proven borosilicate glass according to DIN 7080 that has been used successfully for years in many of our sight glass fittings. This glass withstands higher temperatures of up to 280°C and is resistant against most acids. 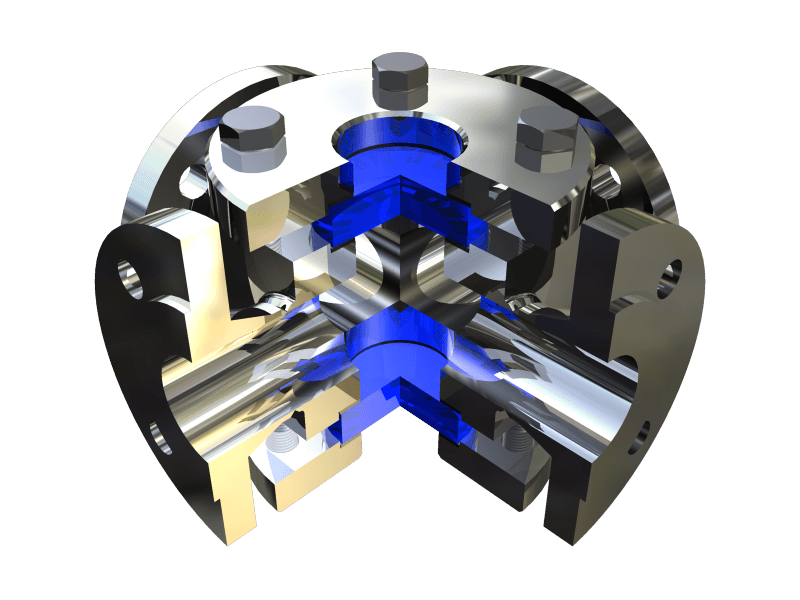 To ensure that the sight glass openings are reliably sealed, we use proven flat seals by well-known manufacturers such as KlingerSIL C4400 and Frenzelit novaphit MST. We can also install permanently elastic seals made of EPDM, NBR or silicon directly for you at the factory. If your operating conditions cannot be covered by our standard range, we will find the best solution with you for your individual usage case. There are also scarcely any limits for the choice of casing material. You can get Type 595 in the usual steel qualities for pressure container structures such as S235JRG2 or P265GH, as well as corrosion-resistant stainless steel such as 1.4571 or 1.4404 that is frequently used internationally. If these varied alloys are not able to fulfil your requirements, we can also manufacture Type 595 on request out of Hastelloy or other special alloys. Read on for further information, 3D views and animations! 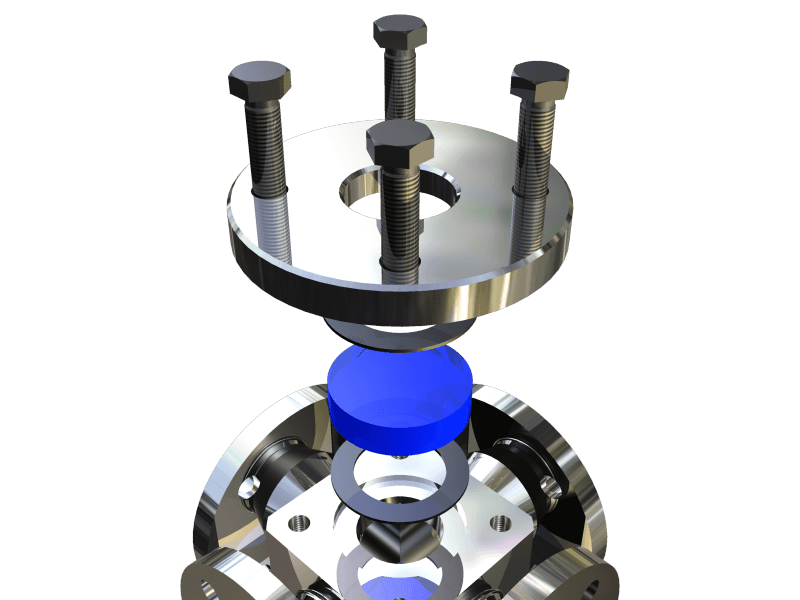 Look our animated Video showing the assembly of our four-way flow sight glass type 595.